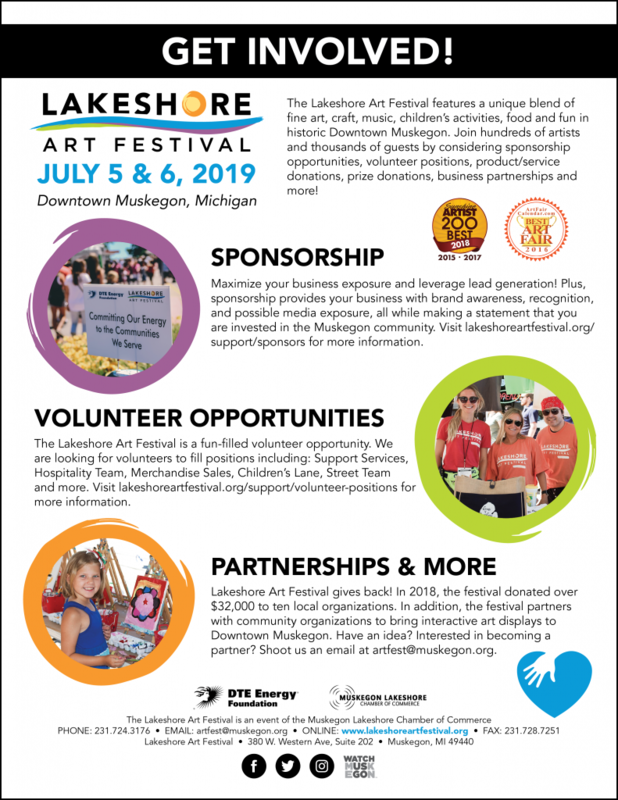 There are many ways in which you can support the Lakeshore Art Festival and, in turn, our wonderful community. Among these are sponsorship opportunities, volunteer positions, product/service donations, prize donations, business partnerships and more! You can also shop LAF merchandise any time of the year from our online store. Thank you to our 2019 partners! View a full list of sponsors.